Did you know that over 800,000 people in Ireland are living with a neurological condition? 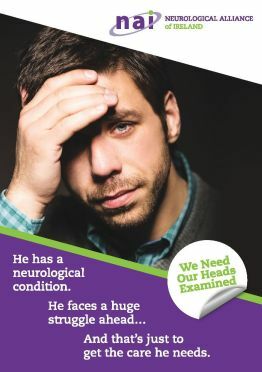 The Neurological Alliance of Ireland (NAI) is the national umbrella organisation for groups representing them. Find out about services and supports near you by using our Neuronetwork website. Learn about National Brain Awareness Week 2019, March 11th - 17th. What's going on around the country and how you can get involved.